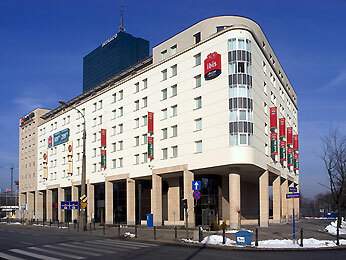 The Ibis Warszawa Stare Miasto Hotel is located next to the picturesque gateway to Warsaw’s Old Town, 1.9 miles (3 km) from the Main Station and 7.5 miles (12 km) from Warsaw Chopin Airport. The hotel has 333 comfortable rooms with wireless Internet access. Six fully-equipped conference rooms and a covered car park make the hotel the perfect place for organizing conferences and seminars. The hotel also offers the modern ibis Kitchen restaurant and the Lounge bar. 100% non-smoking hotel.